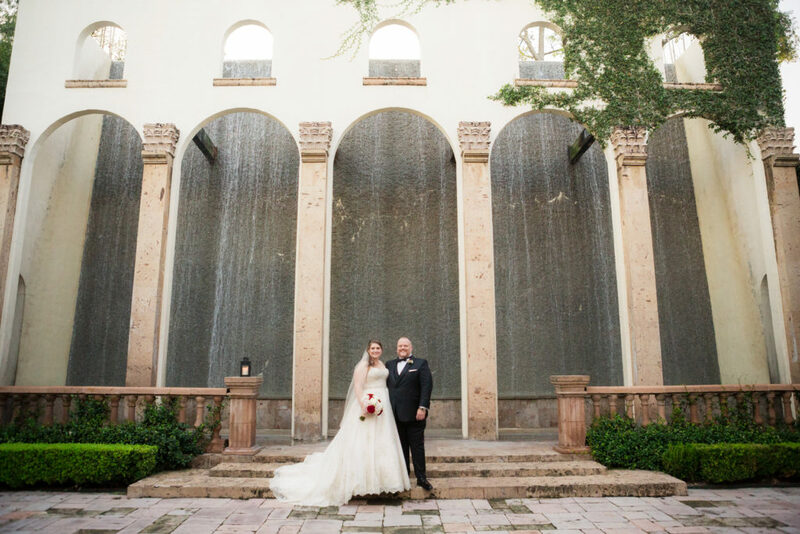 Lindsay and Clinton had a beautiful fall wedding at the Bell Tower on 34th this October. 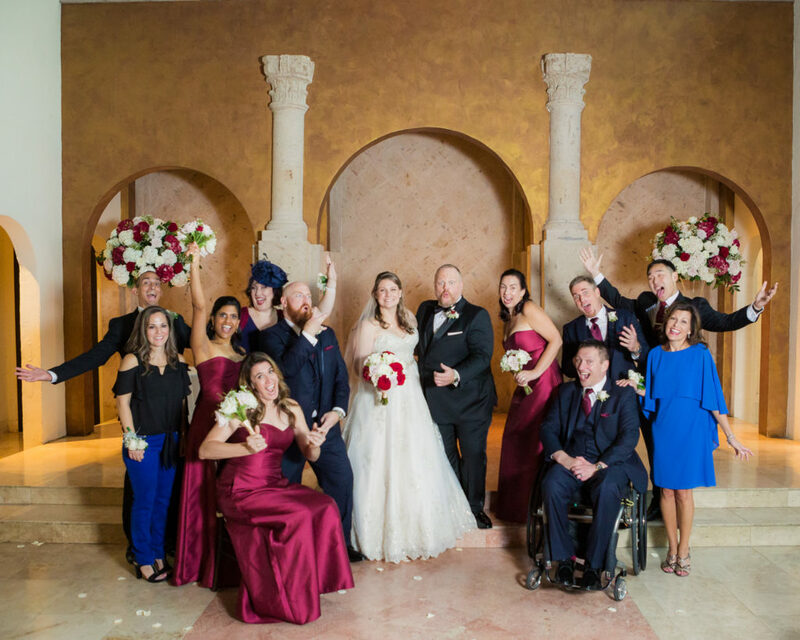 Lindsay and Clinton’s wedidng had a mixture of Navy , Burgundy, and Pink florals and decor that went together so elegantly. The deep rich colors went well with the Fall season too. 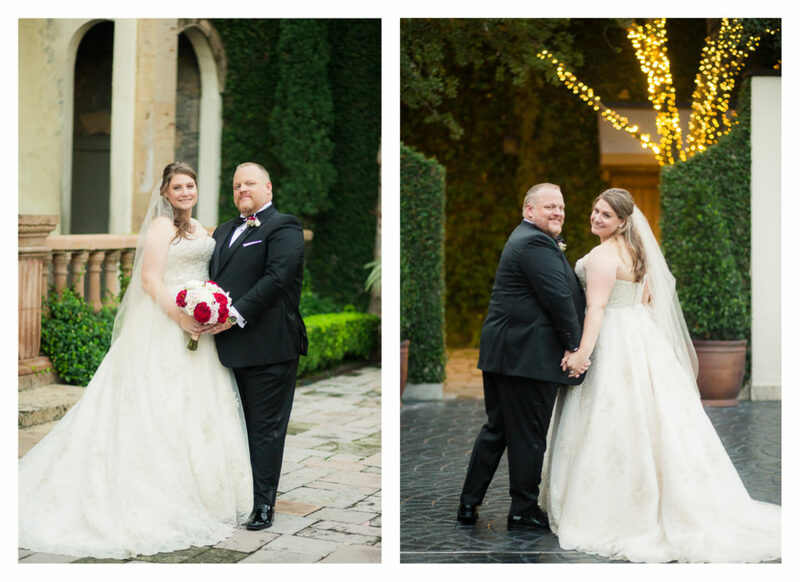 Lindsay and Clinton are one of the sweetest couples I’ve ever worked with. After working with them during their engagement session, I knew they would have an awesome wedding day! 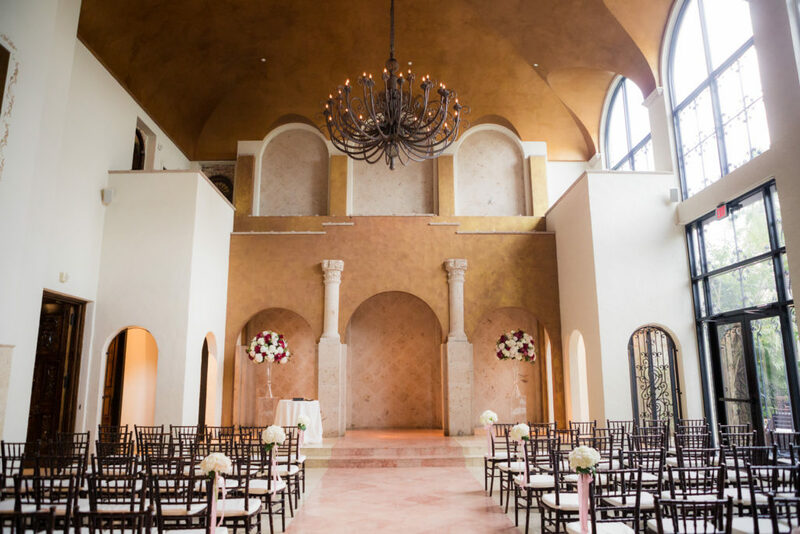 Lindsay was so detailed and organized while planning her wedding, but she had the best outlook on wedding day of just enjoying the day whatever happened. 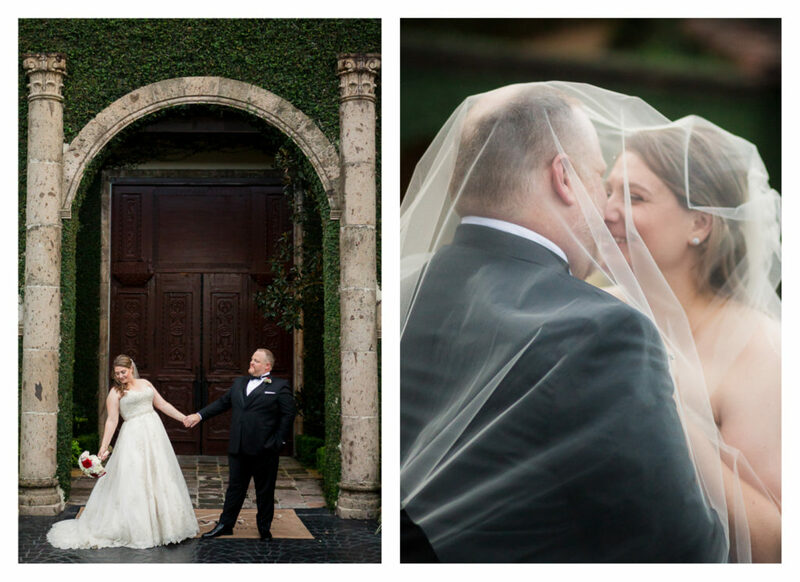 And the day really went so smoothly, and Lindsay and Clinton were both so happy throughout the Wedding day. 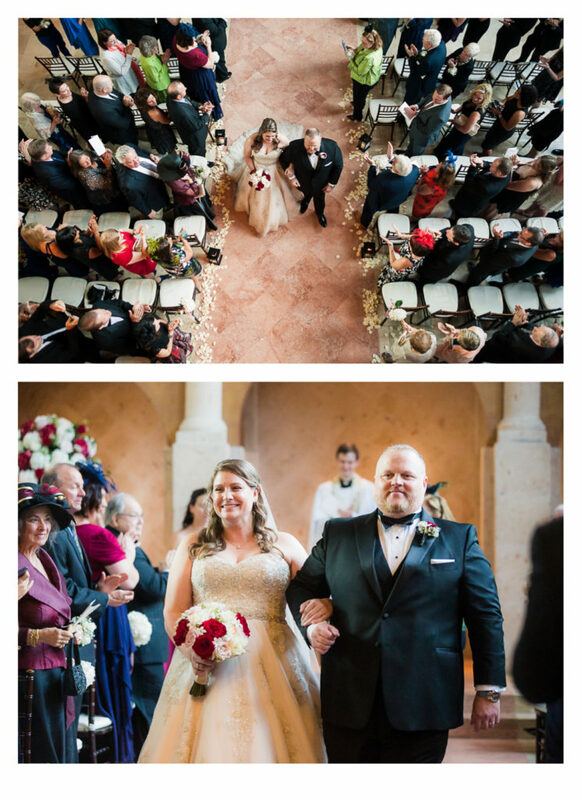 All of the events from getting ready to ceremony and then reception all took place at the Bell Tower on 34th Street. During getting ready, Clinton’s Mom was so nervous about giving her toast and her dance with Clinton. She just wanted it to be perfect. How important it was to her was just so sweet. 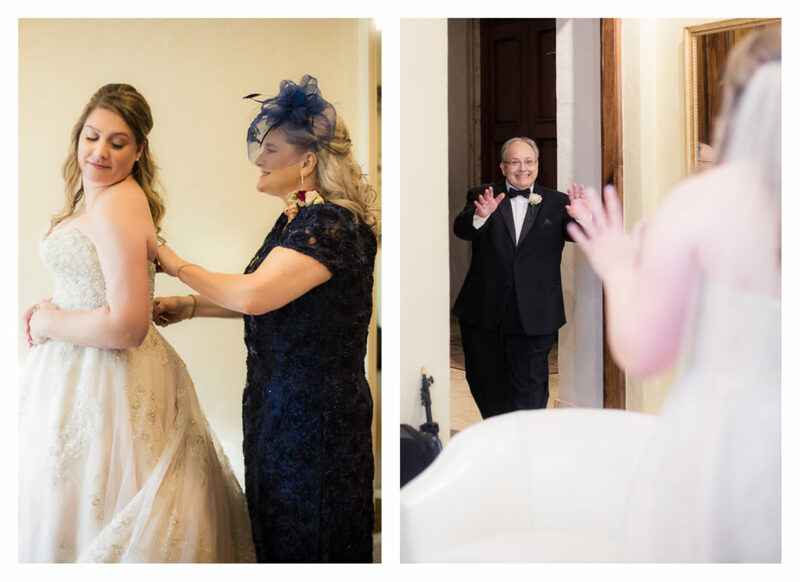 Lindsay’s Mom helped her get into her dress, and her Dad had a first look at Lindsay in her gown right before going down the aisle. 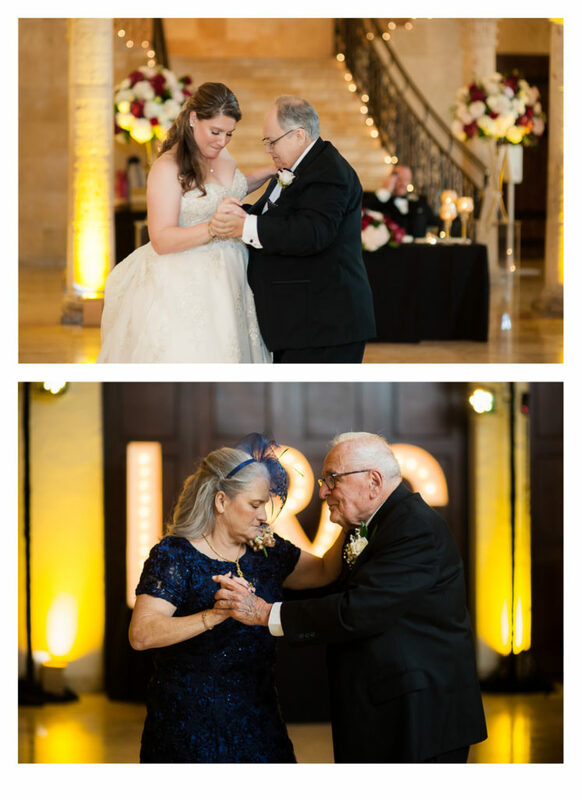 Giving away his one and only daughter really hit him during this first look. 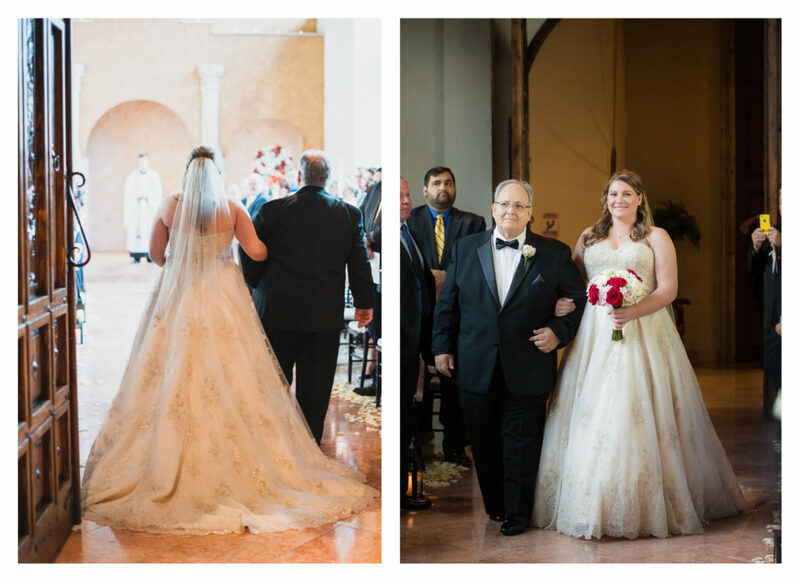 You could see what an important and emotional day this was for Lindsay’s Father during the first look, the walk down the aisle, and even in his toast at the reception. Lindsay obviously meant so much to her parents, but they were excited to welcome Clinton into their family. She had waited for that truly special man. 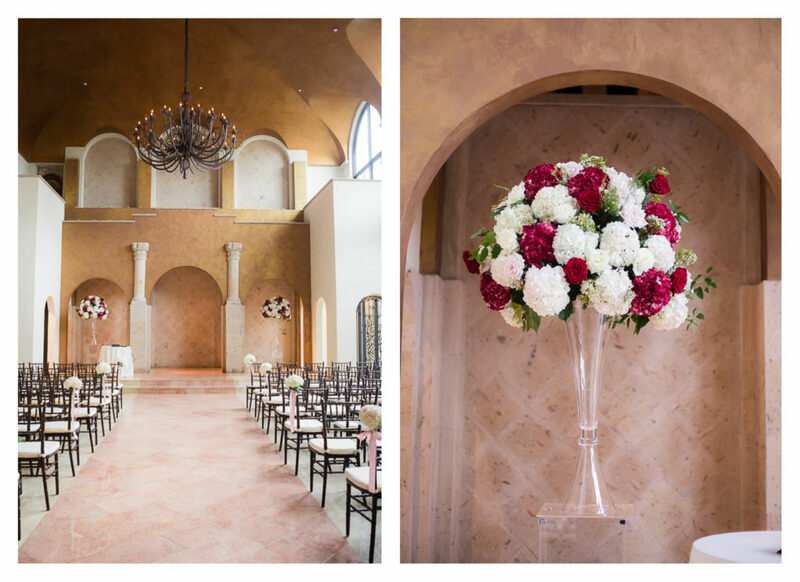 Lindsay’s ceremony took place inside at the Bell Tower. 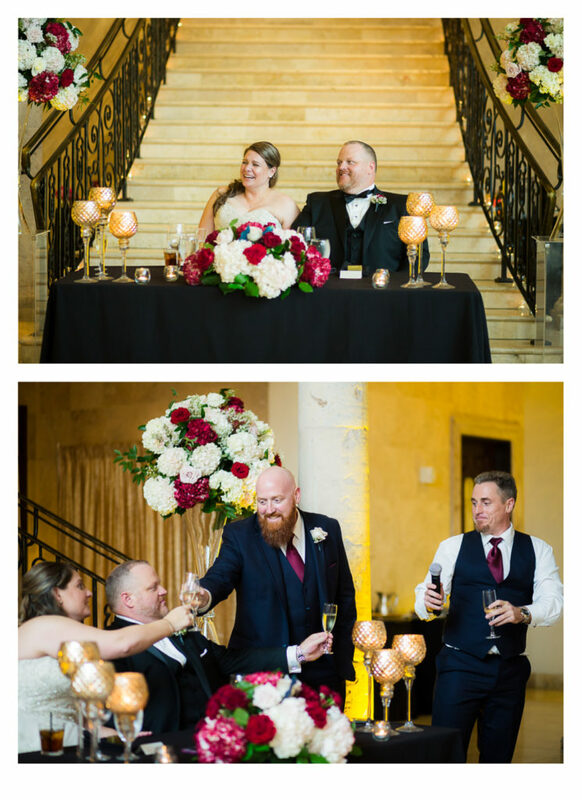 I LOVED these flower arrangements on the altar, and after ceremony, they were moved next to the sweet heart table in front of the Grand staircase. 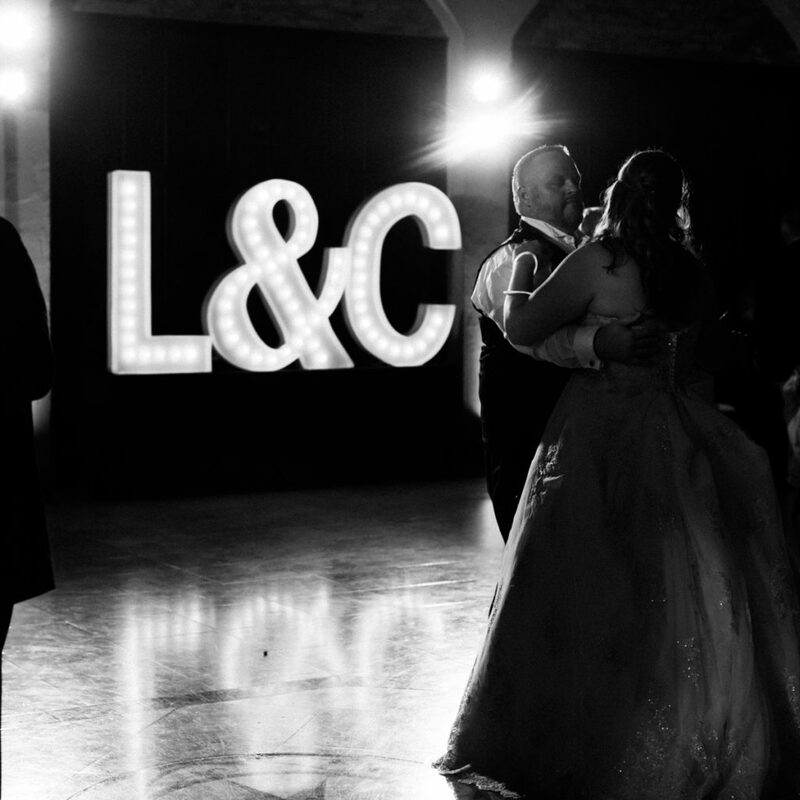 Lindsay and Clinton had a slightly unique request on wedding day. 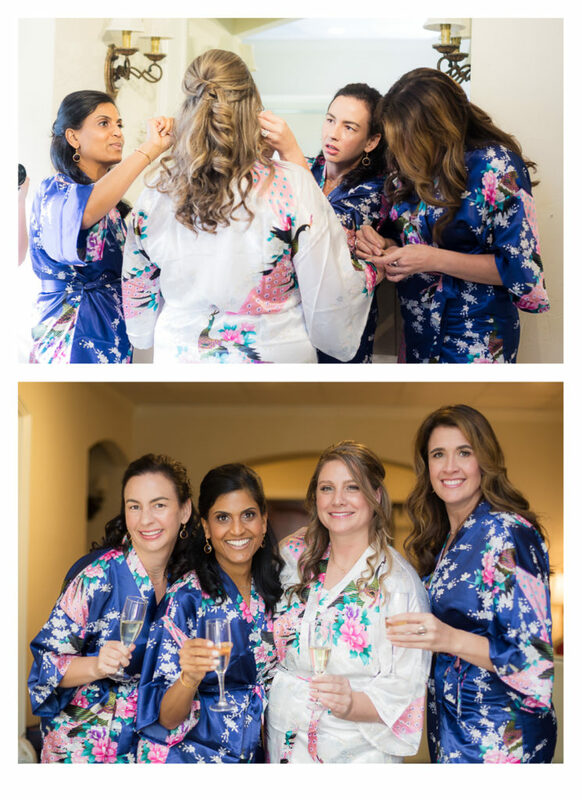 Lindsay had guests travel from Australia, China, and and England, in addition to around the United States to be with her and Clinton on their wedding day. 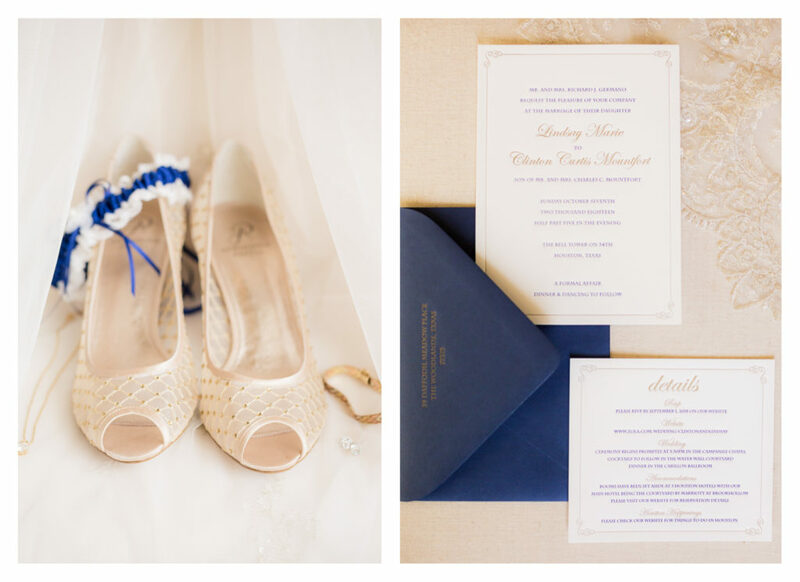 It was so important to them to make sure these guests were documented and have a momento for them as well. 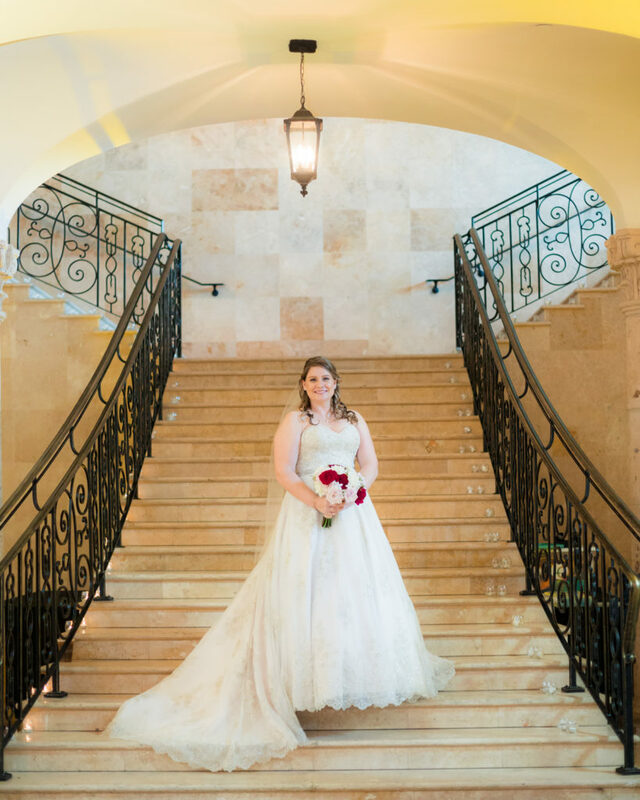 She asked if the second shooter, Rachel, could capture guests as they were entering the reception so they could have a nice portrait of themselves after the wedding day. 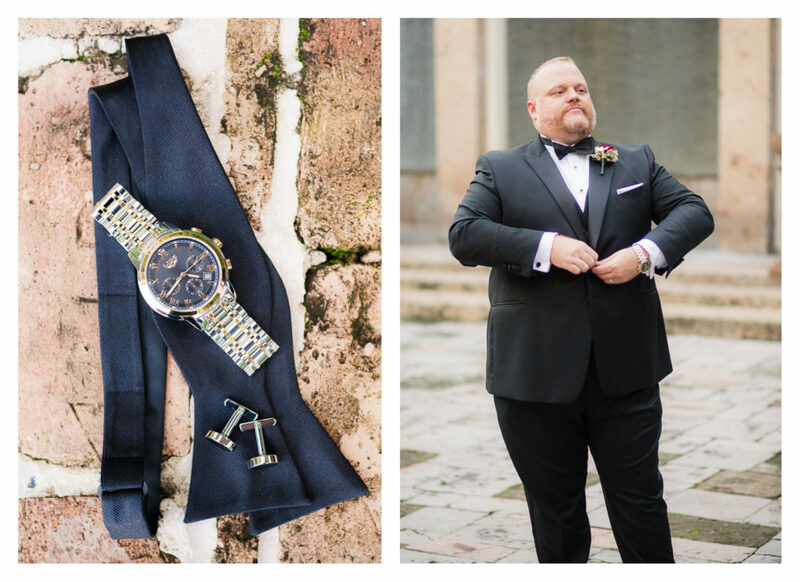 I wasn’t sure how this would work out as Rachel was also photographing the final steps for the Groom and Groomsmen, but I love these photos! Luckily, the two areas were close by. Lindsay wanted to give the photos to guests as a gift in their thank you notes after the wedding as a little momento from the wedding. I love seeing all the hats that the women wore, often called fascinators. 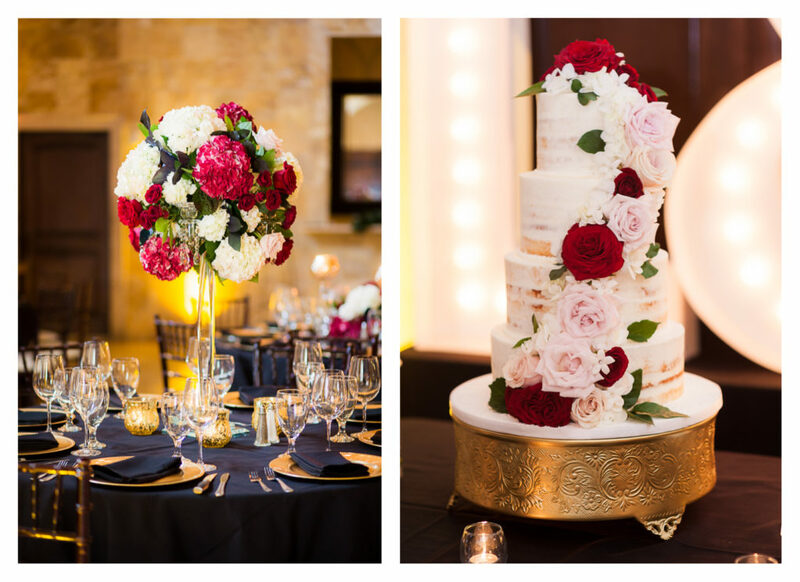 Talk about a truly cosmopolitan wedding from the traditions to the guests. 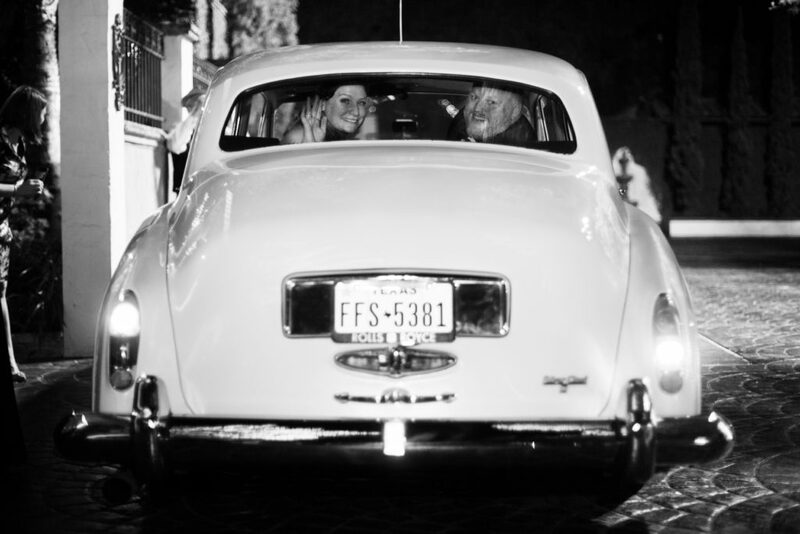 I have so many favorite images of Lindsay walking down the aisle. Her Dad’s face during this hand-off was just the sweetest! 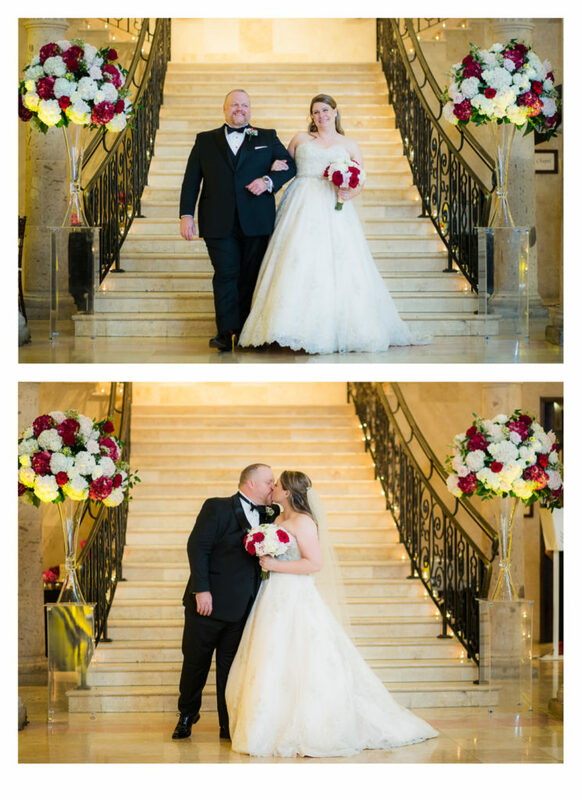 Lindsay and Clinton didn’t see each other until Lindsay walked down the aisle. I think he was blown away when he saw her during that special moment! I think he reacted more than she expected he would! 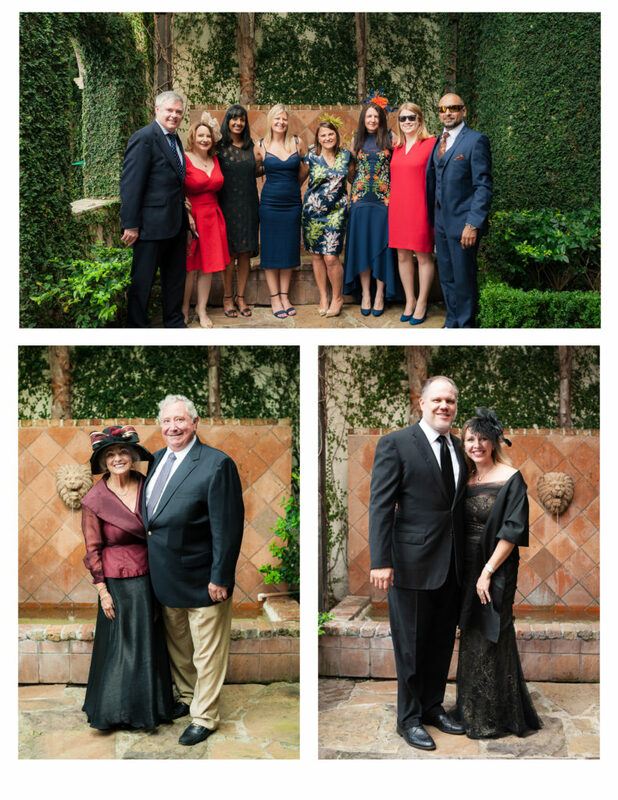 After the ceremony, we took lots of portraits of the most important people- family wedding party, and Bride and Groom all around the Bell Tower! 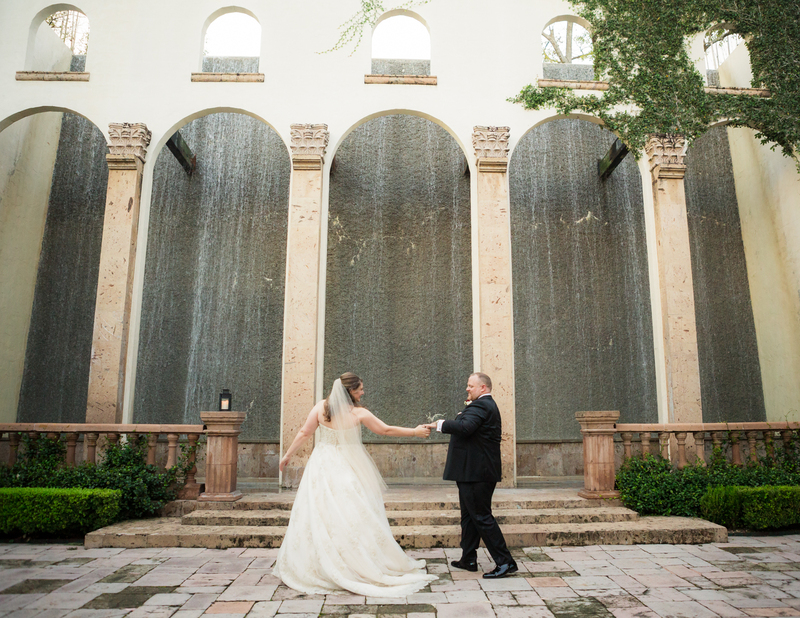 I took pictures of Lindsay and Clinton around the Water Wall and in front of the Bell Tower entrances! 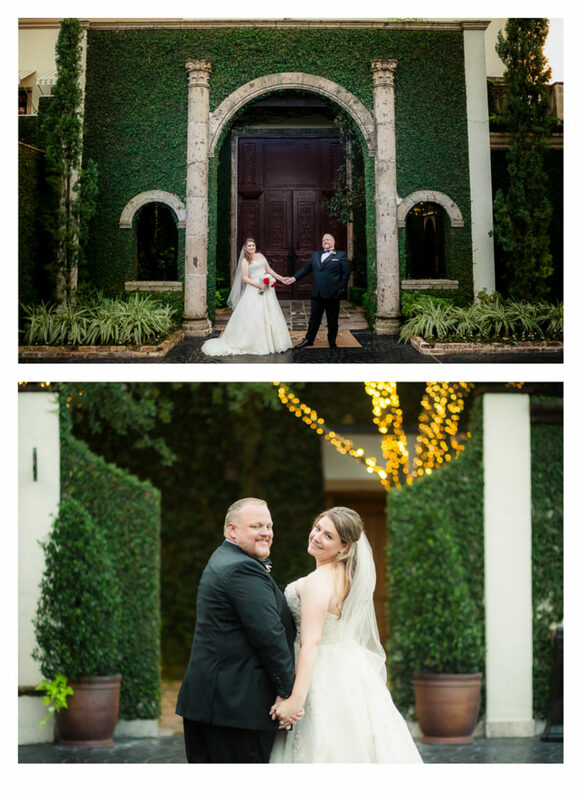 These are definitely some of the favorite photo spots at the Bell Tower! When I knew Clinton was quite the dancer, I did not hesitate to ask him to give Lindsay a twirl even without any music! It was so obvious how important Lindsay and Clinton’s friends were to them, so we definitely captured some great portraits with them too. 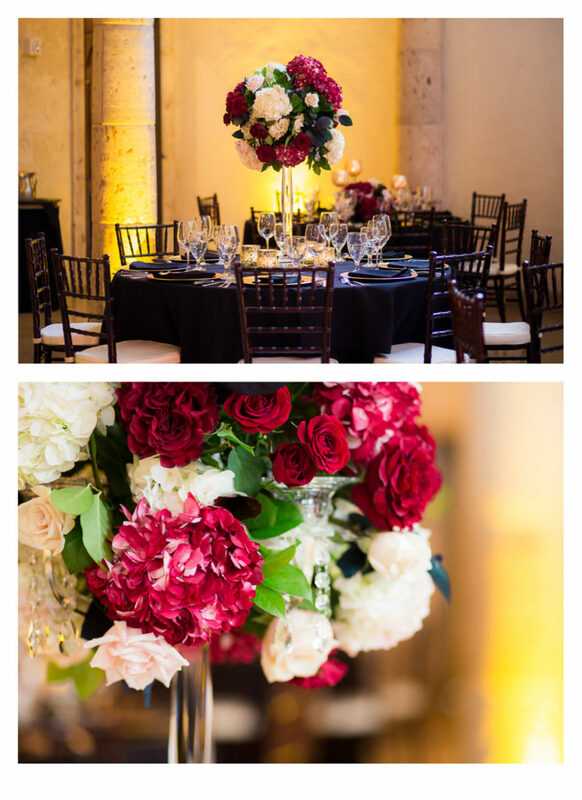 Then, time for some SUPER DUPER pretty reception details! I love the hints of gold and sparkle throughout the decorations too. Clinton made the donut wall himself! That just makes it extra special. It had pegs for donuts and was filled with photos from throughout Lindsay and Clinton’s relationship. 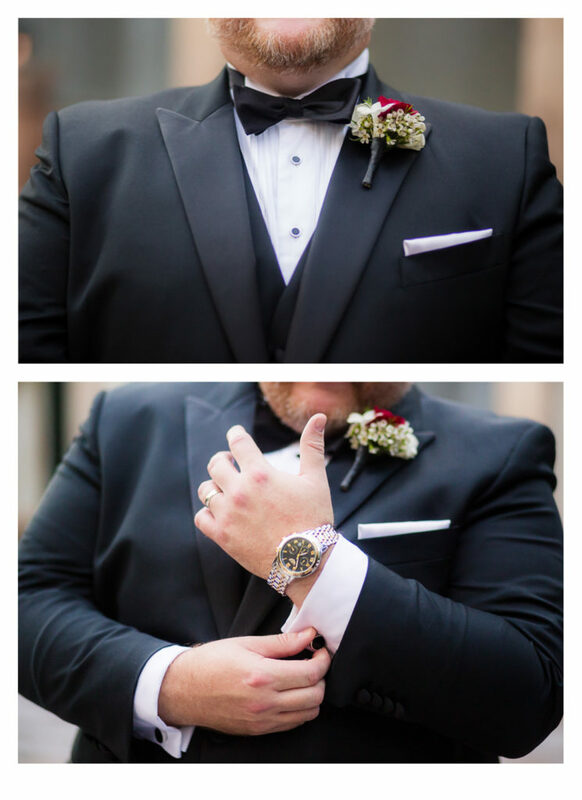 The time really flew by the during the reception. 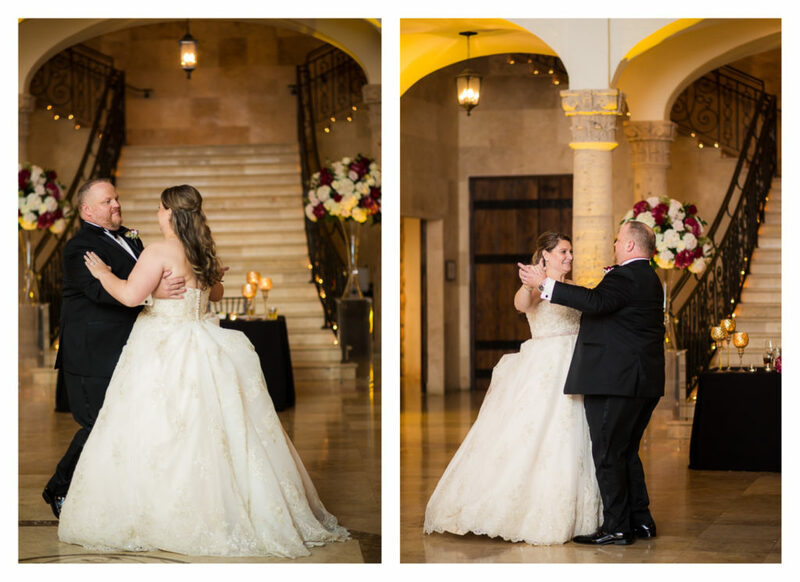 The couple shared their first dance, parent dances, and cake cutting! Then, one of my favorite parts of the entire wedding day were the speeches. 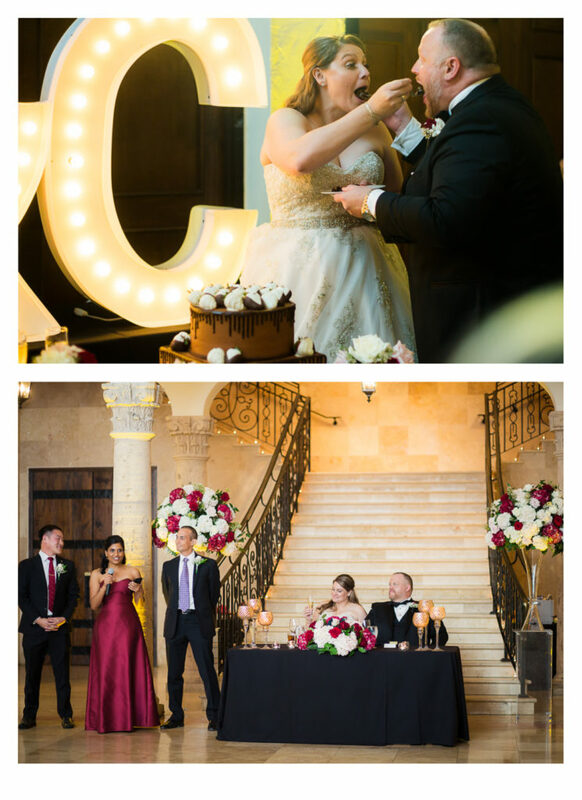 There were so many personal stories that really help to know more about the couple! 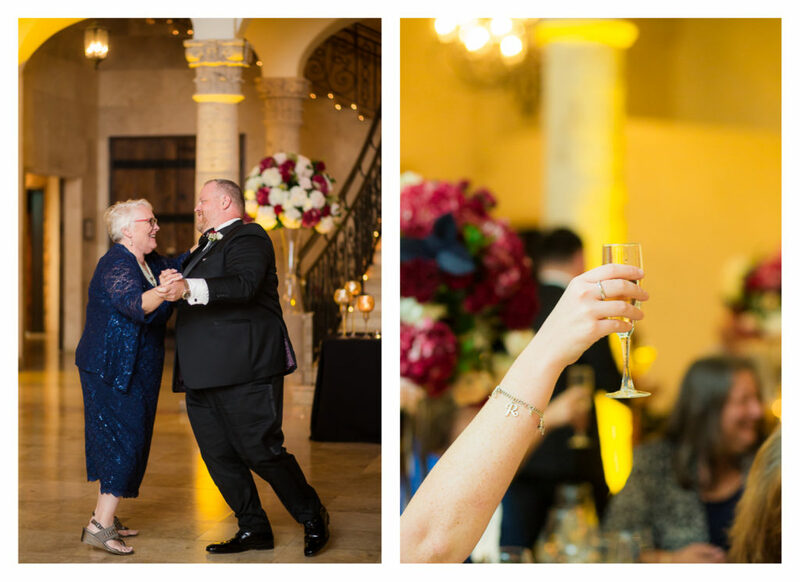 I always love hearing toasts because it really gives me insight into more of the couple’s life, history and background. Lindsay‘s Dad opened up the speeches with talking about how this is their only daughter getting married, and just bragged on how wonderful Lindsay is. There’s nothing better than a proud Papa! Lindsay had many friends praise her for what an amazing friend she was, and even bragged about how much Clinton had won them over. One of my favorite parts of the toasts was when Lindsay‘s friends went back to the first text messages Lindsay texted about Clinton. They were going on a blind first date, so she texted her closest friends to let them know “she hadn’t been kidnapped.” These texts quickly escalated to introducing Clinton into the friends group and the group activities. The story ended with Clinton being added to the friends’ group message. Clinton‘s brothers and the Best Man both shared stories and so many compliments of the man Clinton is. The toasters on both sides emphasized what incredible people Lindsay and Clinton are, and it just allowed everyone in the room to realize how perfect they are for each other. 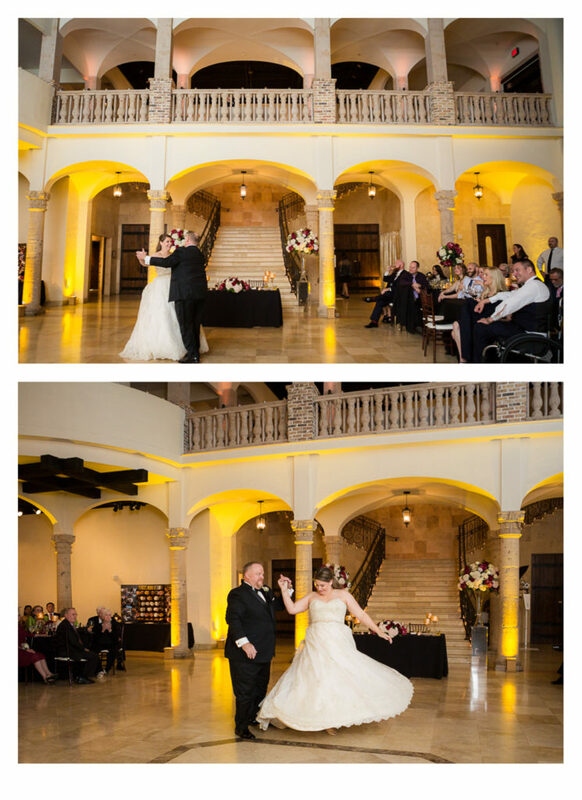 This reception was really amazing- LG entertainment and the Bell Tower really do an amazing job creating such a elegant and fun atmosphere. 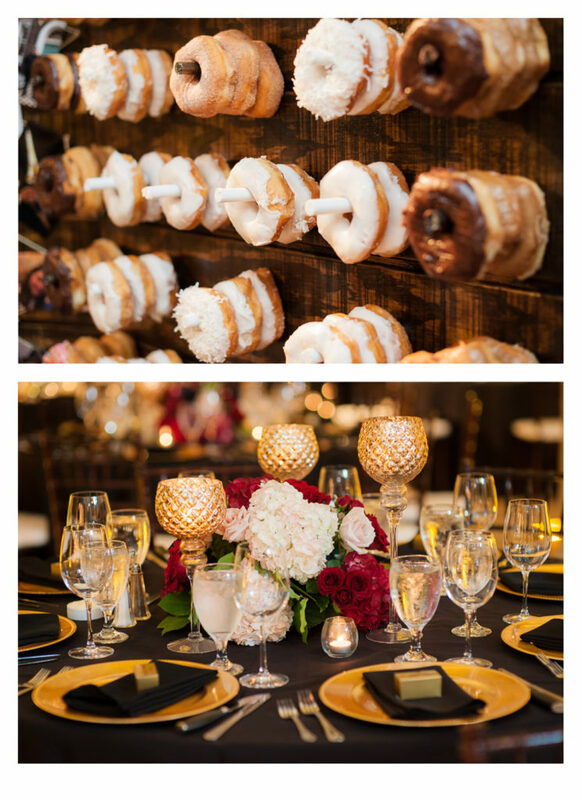 The guests can’t help but have fun at a party like this! I loved watching Lindsay‘s dress twirl around the dance floor with spins from Clinton and her dad. 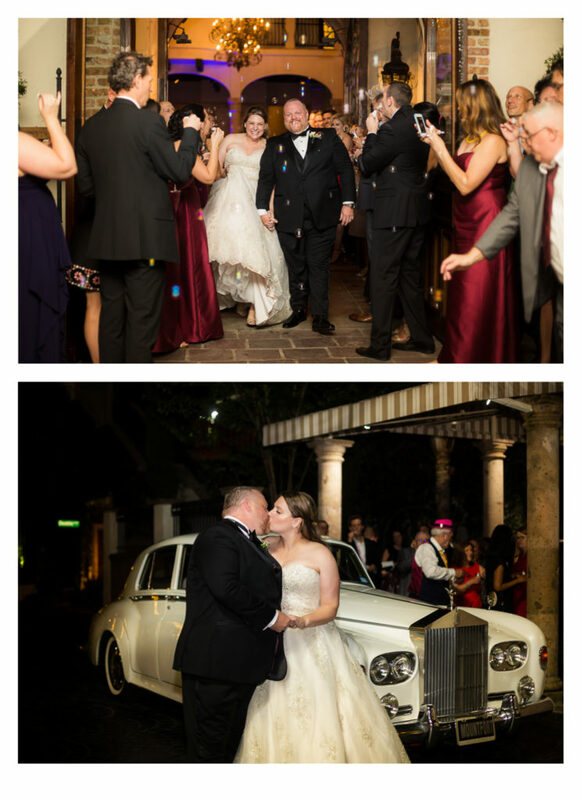 The Rolls Royce getaway at the end of the night really was the cherry on top of this romantic and fun wedding. I am so happy for these two. 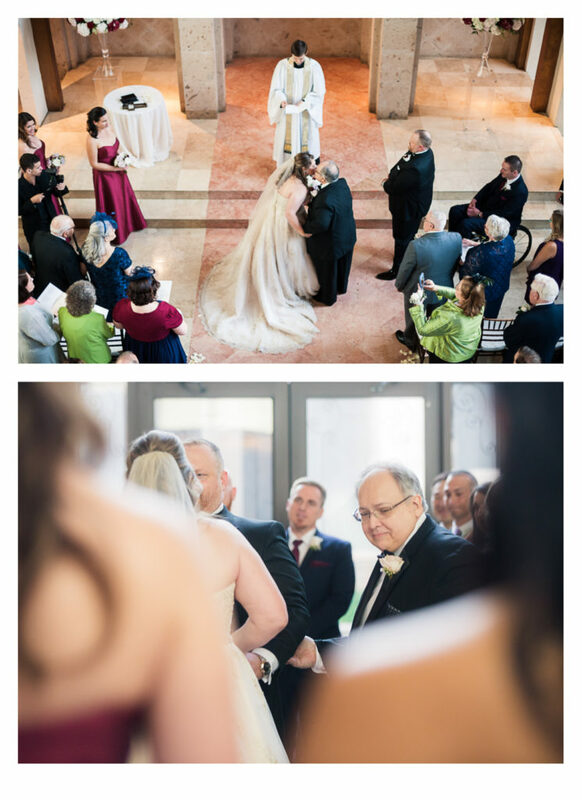 I love when an amazing couple has the perfect wedding day. They really deserve all the happiness in the world! Want to check if I am available on your Wedding Date? Want more from the Bell Tower? 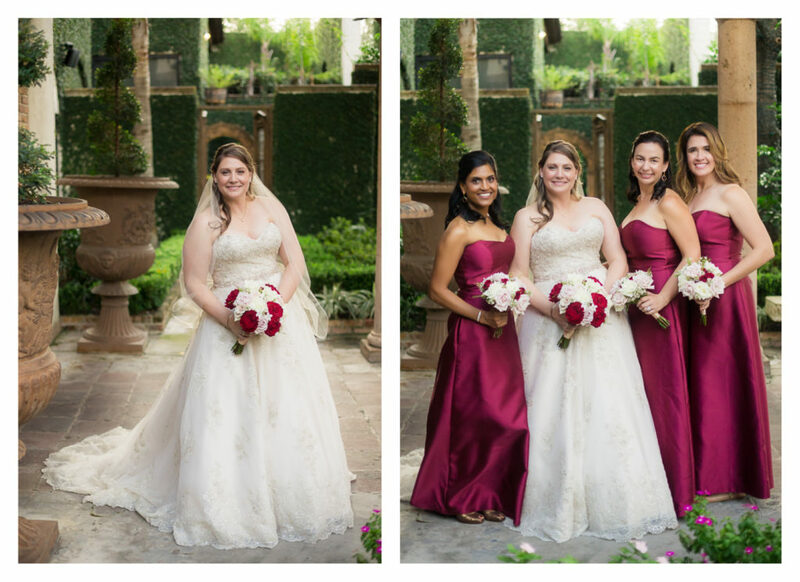 Check out Kim & Jaecel’s American + Indian Wedding at the Bell Tower on 34th! 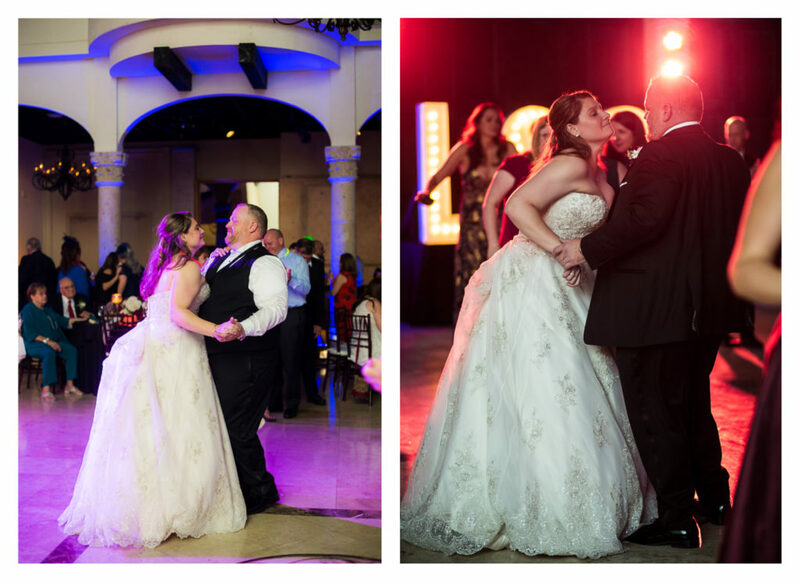 Dress: Brickhouse Bridal – Maggie Sotero called Hannah.